In part one of this series, we defined what a user persona is and why it is a useful part of the design process. In part two, we will focus on a seven step process that can be applied to any number of digital products across all industries. 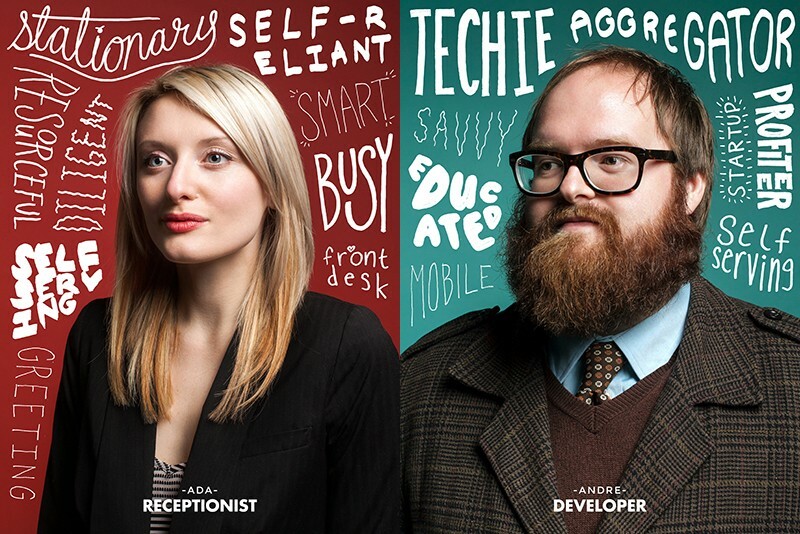 User personas are an integral part of the design process. They help us develop an understanding of the psychology and motivations behind the appeal of a product. This information ultimately informs the user experience and design made through an entire product development process. Identifying the correct personas in your initial product development can maximize user adoption and improve the way your mobile product solves problems for your users. One thing to keep in mind: creating your personas is the tool that helps us create a product that truly benefits the user. At Seamgen, we have a process of our own. While there are many ways of creating personas, our process leverages knowledge of existing users and maximizes efficiency in the product build. Before you dive into creating a mobile or web application for your business, you may have an idea of the makeup of your user base. Gather existing data, with anything from prior market research, information pulled from your customer relation management systems, or email marketing systems. Once you have collected all the data, start analyzing it for trends. You need to draw on your data and begin to create conclusions of whom your users are. The basic data points that you need to cover can include income, age, location, interests, etc. Using this information, start to build out a set of characters, complete needs, goals, wishes, and personalities. If data is unavailable, you’ll need to make your own educated guess, and/or assume who you want your users to be. After you have created a set of prototype personas, you now need to begin to draw out how these people are going to be using your product. Empathize with the user and highlight where pain points occur, and bring the user exactly what they want with minimal interaction. Now, not all users are going to be equal. Since everyone has different needs, everyone will use your product differently. As a result, you will have to prioritize your personas and the features each persona will require and find most important. Knowing exactly what’s already out on the market is vital information. Study the competitive landscape and determine where your users are spending their time. Examine best in class products, and identify what about these products sets them apart from their competition. What makes them great is just as important as what a user might find frustrating. What does your product do to improve these pain points and how will that impact the daily life of each one of your personified users? Walking through these questions also allows you to figure out your potential opening in the market. When you examine the competitive landscape, look at the products in these three lenses: user experience design, visual design, and messaging. After you have performed your research on the competitive landscape, create a plan on how you can either fit in or stand out. From what already exists, what are some of the best things related to your app? You can answer this question by breaking the features found in existing apps and tie them back to your user. By standing in their shoes, you can ask yourself these questions: Why does it matter? How will this improve your user’s day? Once you have gone through these topics, you can now leverage existing features and empower your app. Whatever you are creating, you should be filling a void in the competitive marketplace and remaining relevant. Now, you have to ask yourself and the designers how can you make a product or app that is better and serves your users better. With your user in mind, you need to start breaking out the main sections of your application to evaluate and apply best practices that can be leveraged to craft an engaging user interface. Consider the individual elements and of a typical user flow and how they can be leveraged to craft an engaging user experience. While you and your team are hard at work, you have to keep in mind what you picked up along the way. You have to ask yourself how can make a product that truly benefits your users, and create features that benefit them. In the design and development process, you will have times to re-engage with your personas. Engage with real people that either use your product or you think would use your product and see how they interact with it. User testing is one of the best ways to test the assumptions you made in the persona process. This process of knowing your users never really stops. It continues long after you’ve launched your first version. By leveraging this process and applying it towards your specific industry and business goals you can take the first step toward building a user centric design approach. Examine your existing business data, study the competitive landscape, collect ideas, and take advantage of some of the proven steps towards success we’ve outlined here. In short, find who does it best and see how you can improve upon it for the specific users you have in mind. Make your product stand out by always keeping in mind who you are creating it for.